Lately I have begun walking. Walking for hours. Sometimes I walk aimlessly or sometimes I glance at my Maps App just to make sure I'm not too lost. As I walk I take in the scenes. Scenes mostly considered overlooked or maybe I'll count how many Corner shops or Train stations I've passed. London is very diverting, each area has it's characteristics. 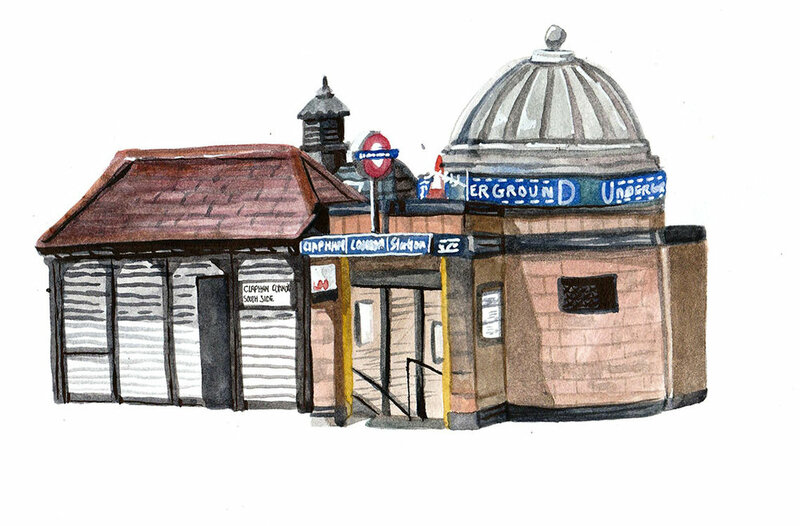 Below are some images made from a walk from my home in Brixton and walked to Clapham taking an extended shortcut through Stockwell. 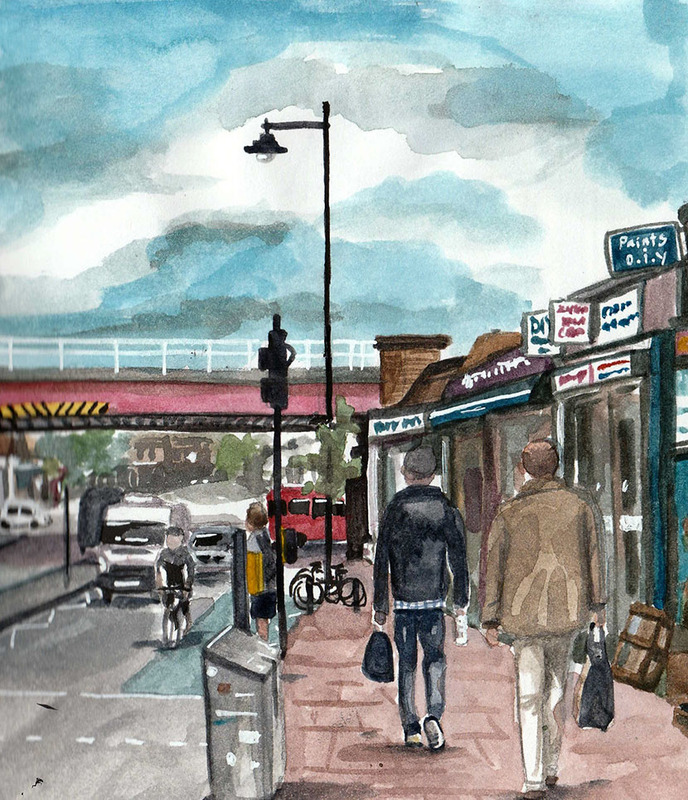 Eventually I hope to compile all my walks and drawings into a book, a visual guide to the everyday London.